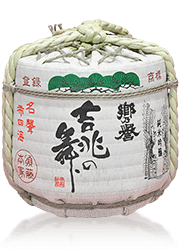 All of our sakes are unfiltered Junmai Daiginjo, the natural high quality as it was brewed. 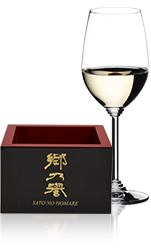 We are proud to offer world recognized high quality sake for you to enjoy. The natures including the air, the water even the climates that are always so close to us that we tend to forget to appreciate is what our ancestors have protected for us over the generations. Only with the dignity to the nature and ancestors, real sake can be brewed. We have a mission to preserving the nature and the sake brewed with the dignity for future generations. We have a permanent commitment to respect and follow the teaching from ancestors in fact we still brew only in the winter nowdays, and those sakes brewed in the winter are not carbonated. We are one of a few rare breweries that store sake at the condition of unpasteurized.